Home is Everywhere: The Unbelievably True Story of One Man’s Journey to Map America (Disruption Books, Feb 2019) by 89-year-old Charles Novak, former surveyor with the U.S. Coast and Geodetic Survey. Rich with the small-town characters of mid-century America, the book spins a tale of travel, love, family, and reflection through the eyes of a man hired to document the last unmapped stretches of a nation. David Novak, Charles’ son, is highly accomplished, having been the co-founder and former CEO of Yum! Brands (a fortune 500 corporation with brands such as KFC, Taco Bell, and Pizza Hut). While David has had the good fortune of meeting world leaders and international celebrities throughout his lifetime, the man who stands out the most is his father. In his career as a surveyor, Charles lived in more than sixty towns in more than twenty states. The measurements taken by his team would eventually go on to help build today’s GPS technology. However, such a contribution was the furthest thing from the minds of Charles and his family as they experienced life on the road during a time of astounding change. From segregated trains, to Cold War military bases, and back to Kansas, Charles’s family found that home is more than a place on a map. Wine expert, Vanessa Price, recently launched the Vinum Project Print Collection. These are unique and reasonably priced gifts for wine and art lovers! Her co-founder, Michelle McSwain, is the photographer. The Vinum Project, a collection of imagery that is unparalleled in its humorous and vibrant take on the fusion of wine and contemporary art, launched today for wine and art lovers who are looking for the ideal gifts just in time for Valentine’s Day. “Much like the holidays, wine is a unifier. It’s something that your Aunt in Texas shares in common with your BFF in LA and your odd colleague at work. It’s a common denominator for bringing people together in a world that can feel very divided these days. Yet when we think about wine, most of the images that are top of mind are largely outdated, white table clothes, etc. – so out of touch with the real humans diving in to experiences and cultures surrounding the amazing world of wine. Our offering combines sophisticated elements of wine and the wine industry with bold pops of color and different perspectives that embody a young and fresh outlook. Cool, yet affordable gifts are hard to come by so we end up leaning on the tried and trues a little too often, said Vanessa Price, Founder of The Vinum Project. The Vinum Project is a visual series created by a dynamic best friends since childhood duo. Vanessa Price, Creative and Art Director, is a 15-year veteran of the wine business in NYC and felt compelled by her years of watching dull depictions of wine that seemed so out of touch with her and all of her contemporaries and was inspired to change that. Michelle McSwain is a life-long photographer and long-time creator of alternative platforms for creating new perspectives through the camera lens. Together, they are creating imagery that speaks to a generation of wine drinkers living in the real world – and who want wine to be a part of their real lives. The Vinum Project’s prints are great for friends, parents, newlyweds, new apartment leasers; anyone who enjoys wine and pretty things. Whether shopping on a budget or looking for a badass mic drop sort of gift, The Vinum Project has something for you. They have created a limited series of Fine Art pieces printed in a new wave technology of HD printing as well as a photo print series that won’t break the bank but will definitely over deliver in the surprise department upon opening. In short, they are making wine art for wine lovers with all the beauty! Give a high quality print from Vinum Project, a collection of imagery that is unparalleled in its humorous and vibrant take on the fusion of wine and contemporary art, a gift that is perfect for wine and art lovers who are looking for the ideal, high quality, last minute gifts. The fine art pieces range from $400 – $3,000 and the prints range from $65-$125. Stauer is ready for Valentine’s Day with a huge assortment of items on sale for $14 (plus shipping). How about something that isn’t a heart — Stauer has it! An inspiring and funny love story for Valentine’s Day! Husband and wife team, Dalma Heyn and Richard Marek, are New York Times Best-Selling authors, and their new book How to Fall in Love (to be released Feb. 2019) speaks to the current “hook up” culture of our society and promotes timeless wisdom for the modern age. The holidays are over, and New Year’s has passed, so now it’s time to gear up for the next festivity: Valentine’s Day, a celebration that would not be complete without Cupid, the most recognized symbol of love. Today, the pursuit of love has been fundamentally changed by technology. So what is Cupid’s role in the “hook up” culture of Tinder and online dating? Can great love be coaxed into existence? Is true romance a matter of happenstance, or does it derive from some kind of magic? These are the questions at the heart of this enchanting, endearing, and life-affirming novel. How to Fall in Love is a provocative love story for the digital age. The story opens when Cupid, the once-revered god of love, learns the heavens are downsizing and he will be let go. In the age of Tinder and online dating, his job is deemed expendable. After all, in these wired days, a love god seems quaint and pointless. Cupid manages to buy a little bit of time by asking for one more chance to show that he can orchestrate a love for the ages . . . but the clock is ticking. Down on earth, Cupid’s powers are put to the ultimate test when he is assigned to match an unlikely couple: Eve, a young widow who has vowed never to love again and Evan, a well-known anthologist with a penchant for commitment-free affairs. Will Cupid be able to prove his worth before it’s too late? 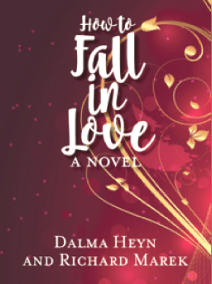 Written by a husband and wife team of New York Times best-selling authors, Dalma Heyn and Richard Marek, How to Fall in Love is a heartwarming and funny love story for the ages and one uniquely suited to our times. To celebrate the release on Feb 5 of their new book, How to Fall in Love, Heyn and Marek are on a nationwide search to find the perfect love letter. The 2019 Love Letter Contest runs until April 30, it is totally free to enter, and the winner will be announced on May 15. 1. Bare your soul in writing (okay, that part might not be all that easy).2. Send your love letter to us at thestoryplant@thestoryplant.com.3. That’s it! (You might, of course, want to share the love letter with the person you were writing it to, but that’s entirely up to you. )To see the complete set of contest rules, click HERE. 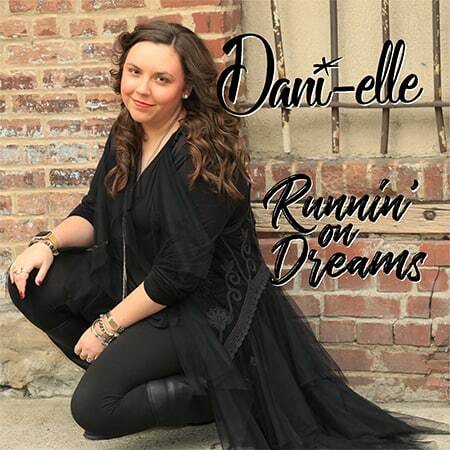 Pennsylvania native and award winning performer, songwriter and recording artist, Dani-elle Kleha, released her new EP, “Runnin’ On Dreams,” today via all music platforms for streaming and digital download and is available to order from her website. “Runnin’ on Dreams” is an exciting release for Dani-elle as it reveals her personal growth as well as musical since her last album, “Eleven.” Dan-elle knew from the moment that she had the idea of releasing an EP this year, that she wanted this project to have the focus on her dedicated and loyal fans. “This one is for every single person who has been alongside me on this dream,” she said. Much of her heart and soul was put into this project and it was really important for her to show all of her emotional sides and ensure there was something for everyone. From rallying along with the happiness to feeling sadness and of course there is a little bit of sass, as well as everything in between.Dani-elle wanted this music to be a re introduction of who she is and a hint of what is to come on the horizon. Dani-elle continues to promote her last single “Get Back Up” released in April 2018, a song that inspired her “Positive Youth Tour,” a series of live shows performed at schools in Pennsylvania’s Lackawanna and Susquehanna counties, where the concerts include segments during which Dani-elle speaks to students about following their dreams, bullying, and self-worth. Bokksu to make February a month to remember. 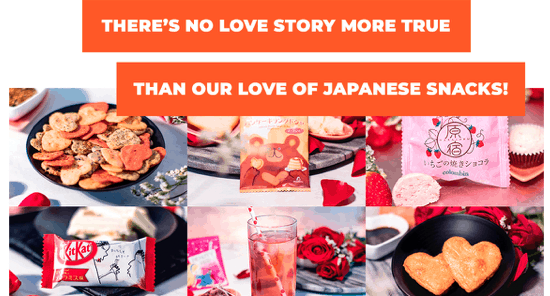 with this lovingly curated box of delicious Japanese snacks! Are you looking for effective, allergen-free personal care and beauty products for a Valentine’s Day gift? If so, consider Cleure (clean + pure) which has created healthy skin care, oral care, makeup, hair/body products for everyone. Dr. Flora Stay formulated this full line for the millions (approx. 85M) of people with sensitive and allergy-prone skin who want their daily use products free of common irritants. They are completely free of allergens and irritants, including botanicals and parabens; stripped down to the essentials to make sure even the lightest of reactions aren’t caused after use. Mary Simses, author of The Irresistible Blueberry Bakeshop & Cafe and Palm Beach resident. Edith Wharton’s perceptive view of high society meets Elin Hilderbrand’s intricate island relationships among women in Susannah Marren’s latest novel, A Palm Beach Wife (St. Martin’s Griffin; April 9, 2019; $17.99). Marren, the pen name of gender and relationship expert Susan Shapiro Barash, has drawn a riveting portrait of spousal loyalty, female rivalry and the complicated mother-daughter bond. Faith Harrison is the quintessential Palm Beach woman. She is a captivating beauty, ideal wife to Edward, her elegant, wealthy husband, and perfect mother to Katherine, her college-age daughter. In a town where affluence, privilege and glamour rule, Faith is respected and adored by women of all ages. Audio-Technica makes giving the gift of great sound easy for music lovers and gaming enthusiasts. The AT-LP60SPBK-BT wireless turntable and speaker system lets listeners enjoy records with wireless convenience — Bluetooth® speaker included! Audio-Technica’s wireless QuietPoint® noise-cancelling over-ear ATH-ANC700BT, Solid Bass® ATH-CKS550XBT in-ear and Pure Digital Drive ATH-DSR5BT in-ear headphones all offer outstanding wireless sound in a choice of styles. For everyone into gaming (which means just about everyone these days), the ATH-PG1 and ATH-PDG1 closed- and open-back gaming headsets take game audio to the next level. The new AT-LP60SPBK-BT wireless turntable and speaker system makes a perfect gift for anyone who wants to get started with vinyl listening — or rediscover their record collection. The AT-LP60SPBK-BT (SRP: US$199.00) comes with everything needed to listen to records including a fully automatic AT-LP60-BT turntable with pre-mounted Dual Moving Magnet high-quality cartridge plus a Bluetooth stereo rechargeable speaker and accessories. This Valentine’s Day Audio-Technica’s ATH-ANC700BT QuietPoint over-ear wireless active noise-cancelling (ANC) headphones offer an unmatched combination of comfort, wireless convenience and improved ANC technology. The noise cancelling operates in a wider frequency range than typical ANC designs, yielding a major advancement in noise-cancelling performance and audio quality. The ATH-ANC700BT (SRP: US$199.00) features a handy touch and swipe control system for answering calls and controlling music playback. It employs large 40 mm drivers for impactful sound and supports Bluetooth codecs including aptX® and AAC for improved wireless audio. The ATH-ANC700BT is Hi-Res Audio compatible (when connected with the included cable). It provides up to 25 hours of battery life and can also be used in wired mode. Available in a matte black finish, the ATH-ANC700BT comes with a pouch, USB charging cable and a 3.9-foot (1.2m) cable with a 3.5 mm jack. For some listeners it’s all about the bass, and Audio-Technica’s Solid Bass ATH-CKS550XBT in-ear wireless headphones offer powerful low-frequency performance along with clear, detailed midrange and treble. The ATH-CKS550XBT (SRP: US$119.00) features a comfortable ergonomic design and is equipped to answer calls and control music playback. Its NFC functionality allows easy pairing with other devices. Available in black/gold and white, the ATH-CKS550XBT employs a 9.8 mm Dual Magnetic Field Multiple-Transition driver and a special bass venting system for exceptional bass reproduction, and includes aptX sound-improvement technology. It comes with XS/S/M/L eartips, a USB charging cable, and a cable for use if the battery runs out. Is there a discerning listener on your holiday gift list? If so, they’ll be sure to appreciate the ATH-DSR5BT wireless in-ear headphones with Pure Digital Drive (SRP: US$399.00). This rave-reviewed, exclusive Audio-Technica technology keeps the audio signal completely digital from source to driver, using a dedicated chipset to eliminate the sonic degradation that can be caused in traditional D/A converters and amplifiers. The result is remarkably pure, detailed and natural wireless audio quality. The ATH-DSR5BT supports aptX, aptX HD, AAC and other wireless formats up to 24-bit/48kHz signals in Bluetooth transmission. Its rechargeable battery provides approximately eight hours of continuous use (500 hours standby). For listeners who prefer over-ear headphones, Audio-Technica also offers its smartphone-compatible ATH-DSR9BT wireless model with Pure Digital Drive (SRP: US$549.00), which incorporates ultimate-performance features including large 45 mm True Motion Drivers, 4-core voice coils and other refinements for natural music reproduction with extraordinary resolution and dynamic impact. Games are always popular gifts — and the gaming experience just isn’t complete without clear and powerful sound. Audio-Technica’s high-performance ATH-PG1 closed-back and ATH-PDG1 open-back headphones deliver an immersive, richly detailed sonic environment. The ATH-PG1 and ATH-PDG1 (SRP: US$129.00 each) offer a host of gaming-centric features including a flexible gooseneck microphone with detachable cable, smartphone cable, extension cable and a lightweight comfort-fit design. The headsets’ large-diameter drivers deliver intense sonic involvement with an expansive sound space that draws listeners completely into the playing field. Kinder Perfect is the hottest party game for parents (think Cards Against Humanity but based on the truths that parents live through!)! With cards featuring responses crowdsourced from parents, this should be an essential to play with your parenting partner and your friends. Plus it makes a great gift for new and expecting moms! The 400+ card game is also a great way to get to know your friends and family. Play it on girls night in with your favorite bottle of wine or on Valentine’s Day to learn fun(ny) facts about your childhood and your relatives’ parenting skills and thoughts! If this game wasn’t fun enough already, Kinder Perfect has launched three new expansion packs (more, tweens and naughty) in time for the holiday season for under $10, adding 300+ new cards to the original favorite! The expansion packs were created because of feedback from parents who weren’t afraid to get a little raunchy and had kids who were growing up into young adults. The expansions feature cards geared towards parents with tweens and teens, racy responses and more of your favorite #parentingproblems. The ‘naughty’ pack is sure to be a hit at any date night or couples nights with friends. Nothing is off limits! Pets provide important companionship for people of all ages, but it can be difficult for seniors to maintain care for their furry friends. This Valentine’s Day, give Endura Flap pet doors, a high-quality pet door that allows pets to come and go as they please, while reducing the physical burden for seniors to let their pets outside. Endura Flap pet doors are designed to withstand harsh weather conditions, including UV ray damage, and can contain gusts of wind up to 50 mph. Furry friends will love their newfound freedom, and these pet parents can enjoy a happy pooch and hassle-free home. Endura Flap products are available for doors, walls, sliding glass doors and windows in a variety of color and sizes, making them uniquely customizable to an individual’s own needs, home and style. Everyone deserves the love of a pet, no matter their age. Endura Flap pet doors allows seniors to continue to care for their furry friends for years to come. For more information, visit https://www.enduraflap.com/. Three Peaks Honey, an ultra-premium line of UMF™ certified, authentic Manuka honey announces its launch in the United States. 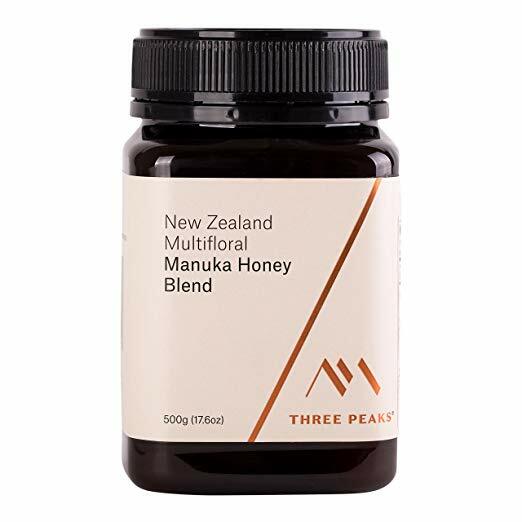 Three Peaks has selected only the highest quality Manuka honey from New Zealand’s natural wilderness for The Tongariro Jar® to ensure you only get the best. Created with an eye for style and the uniqueness of nature, the Tongariro glass Jars are beautifully packaged and perfect for personal use or as a luxurious gift. For ultimate wellness, always buy the highest UMF™ rated Manuka honey you can.Perfect for wellness and therapeutic use or as an artisanal fine-food. Manuka Honey UMF 6+ 17.6 oz. Manuka Honey UMF 8+ 17.6 oz. Manuka Honey UMF 10+ 17.6 oz. Blooming with the sweet taste of summer, this exquisite blend brings together the natural wellness properties of Manuka honey with natures finest bush blend honey. Available in either a 8.8 oz. or 17.6 oz. jar, Three Peaks multi-floral blend is the perfect addition to your morning toast or as a sugar substitute in your favorite baking recipe. Manuka Honey Blend 8.8 oz., Recommended Retail: $19.99 ; Manuka Honey Blend 17.6 oz., Recommended Retail: $31.99. Three Peaks was born from a passion for New Zealand’s volcanic central plateau and a desire to produce the world’s most magnificent Manuka honey. Their commitment to producing the best means Three Peaks actively contribute to sustainable land management, conservation of precious indigenous ecosystems and nurturing a healthy bee population. Their bees transform a miraculous environment into a magical product: pure Manuka honey. They rigorously and independently test every batch to assess its UMF® and ‘mg’ grade so that the consumer can trust they are getting only get the best. Three Peaks UMF scale ranges from 6+ to 20+. All Three Peaks Manuka honey is certified by an independent laboratory, Analytica Laboratories. The UMF® rating on their packs shows that their honey is an internationally recognized standard that assures purity and quality. Each product includes a batch number which provides traceability and quality control checks throughout the entire supply chain from hive to product. Customers can enter the batch number from their products into the Three Peaks website to verify their Three Peaks products are genuine. Three Peaks Manuka honey makes a perfect gift for any occasion with its elegant packaging on the outside which matches the exceptional quality of the honey on the inside. Three Peaks Honey can be purchased on Amazon, at the Chelsea Market Basket store in New York and online at www.threepeaksnz.com. For more information on Three Peaks visit www.threepeaksnz.com. Traverse City-based GoSili was founded in 2006 by Stacey Feeley and Giuliana Schwab with the mission of Waste Less! GoSili designs and manufactures silicone tableware products for the whole family. 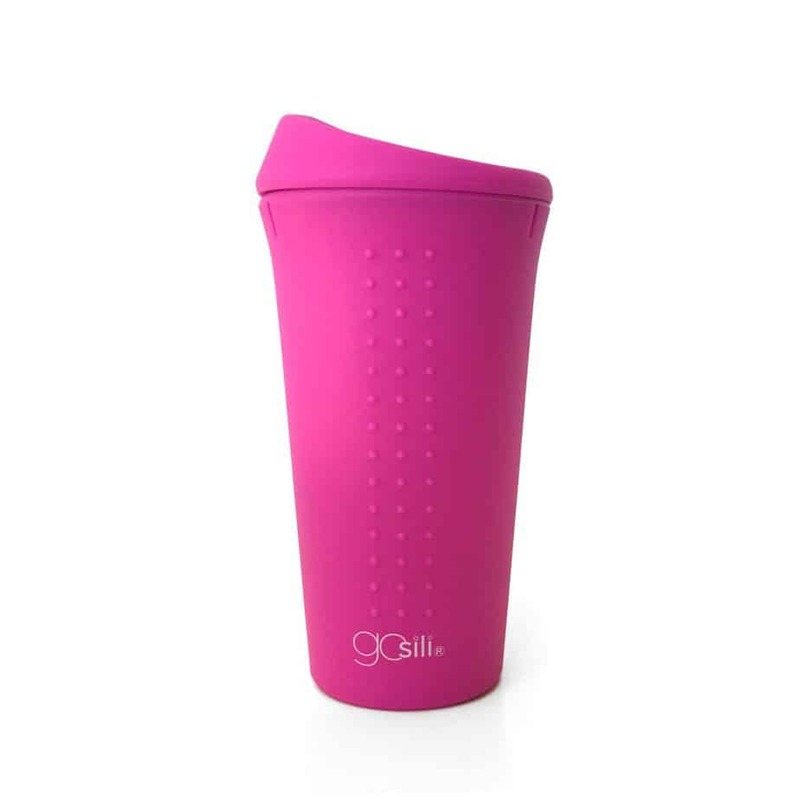 The excessive use and waste of disposable paper and plastic inspired the GoSili founders to create a modern line incorporating all the practical benefits that silicone has to offer. GoSili is the parent company of the award-winning children’s silicone products brand Silikids. GoSili products make the basics better by bringing an alternative to plastic, bridging the gap between great design and affordability while improving the way we live! A win-win for all! For more information visit www.gosili.com. 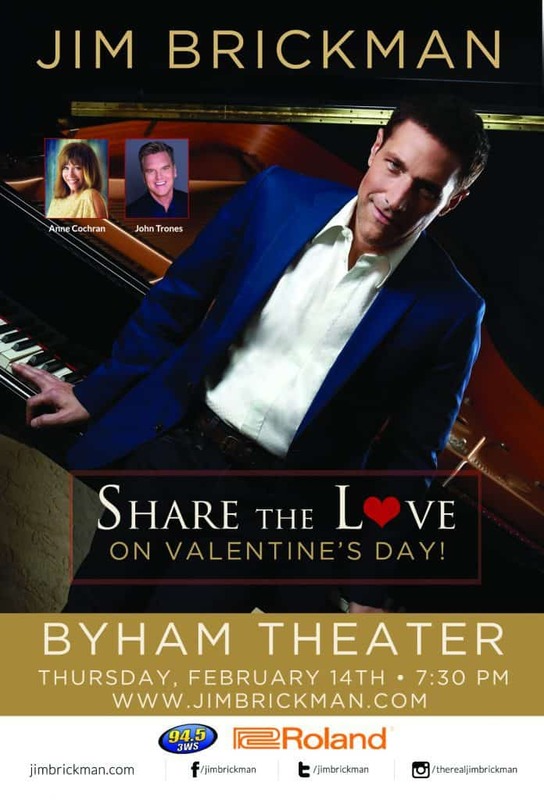 Jim Brickman Performs His “Share the Love Concert” at the Byham Theater (Downtown Pittsburgh, PA) this Valentine’s Day! The cybersphere is rife with risks, especially for Boomers who are often targeted by cybercriminals given their susceptibility to a variety of attacks. While protecting yourself online can seem like a complicated and daunting task, it’s actually simpler than ever. Gift that special someone in your life with Webroot’s WiFi Security. With a simple set it and forget it model, Webroot’s virtual private network (VPN) will provide users with ease of mind and protection when browsing the internet, sharing photos and making online purchases. Just download the app, set up an account and voilà – the app is working in the background, protecting a user’s internet connection and privacy. Webroot’s VPN actually helps steer users away from unsafe websites that are known to serve malware too! Never Again, a novel by civil rights lawyer Harvey A. Schwartz, appeals to fans of thrillers and fiction with current events/political twists. What’s more, the book hits a pleasing price point of < $10 on Kindle. This would be a great extra Valentine’s Day gift! Visit HarveyASchwartz.com for more information. NHV Natural Pet Products believes that every pet deserves a second chance, whether it’s a new, loving home for a shelter pet, or helping a sick dog or cat fight illness holistically with natural supplements. To help support these second chances, NHV has created a 2019 monthly wall calendar featuring 12 rescue pets, with adorable photos and heart-warming stories of pets that were given a second chance in life. Each pet in the calendar is part of the extended NHV “family” and has been helped in some way by NHV supplements. All proceeds from the sale of the calendar will go to The Second Chance Rescue in NYC. Their mission is to reduce animal overpopulation in shelters; rescue, rehabilitate critically injured and neglected animals; and connect the community to services that enable animals to remain in their homes. They are advocates and educators and are making a difference one cherished life at a time. The Second Chance calendar is available at www.nhvnaturalpetproducts.com and sells for $19.95. The wisdom and instruction you love from Fair Winds Press’s Ultimate Guides can now be found in portable, giftable handbooks! MBS handbooks take subjects like chakra balancing, numerology, and divination from inscrutable to practical with accessible content from experts in the field. The instruction and exercises from Liz Dean (The Divination Handbook), Athena Perrakis (The Chakras Handbook), and Tania Gabrielle (The Numerology Handbook) will empower readers in their MBS journey, whether they are looking into the future or concentrating on staying grounded in the present. The 5×8” size makes these handbooks easy to pop into bags and carry with you on-the-go, while their hardcover binding and beautiful covers make them the perfect gift for seekers of all stripes. All books publish January 22, 2019. Heat Holders, the warmest thermal socks and outerwear company, makes for the perfect Valentine’s Day gift. With a wide variety of blankets and socks, you can choose the perfect gift for your loved one. The large soft fur fleece blanket and the oversized throw blanket will bring immediate luxury and warmth to any evening or home space. Give the gift of warmth this Valentine’s Day! Valentine’s Day is so much more than giving flowers and a card. It’s become an opportunity to show the people you love you care about their everyday needs. It can be difficult to select a gift for someone that already has everything, especially something that they’ll really use. With Gear Beast’s new Valentines Smartphone Lanyards you can give the gift of peace of mind, as your loved one will never lose or misplace their phone again. Native is the leading natural deodorant and #1 best-selling deodorant at Target. Known for their on-trend scents, Native is excited to bring you the 2019 Winter Scents. Native’s products have a proprietary formula containing simple ingredients such as beeswax, baking soda, coconut oil and shea butter that naturally fight odors instead of masking them with unnecessary and chemicals found in antiperspirants (aluminum, talc, parabens). Cypress & Ginger ($12) – (For MEN) Rich, woodsy scent coupled with bright and spicy notes of ginger. Powder & Cotton ($12) – Fresh delicate scent that is both light and delightfully clean. Blackberry & Green Tea ($12) – Juicy blackberry infused with the clean and refreshing aroma of green tea. Vanilla & Sandalwood ($12) – Warm vanilla scent blended with sweet and alluring sandalwood. Seasonal Winter Pack ($30) – This seasonal pack includes 3 regular bars of: Powder & Cotton, Blackberry & Green Tea and Vanilla & Sandalwood. Seasonal Travel Sample Pack ($24) – Coconut & Vanilla, Cucumber & Mint, Lavender & Rose plus Blackberry & Green Tea and Powder & Cotton. Body Wash ($12): available in classic and in the *new seasonal scents. Bar Soap ($10 for 2): available in classic and in the *new seasonal scents. Gift Sets (Featuring FIVE Products, $30) – Include the beloved deodorant, mini deodorant, body wash, and two bars of soap in Native’s most popular scents. With Valentine’s Day coming up you’re beginning to think of gifts for your significant other or loved one. This year treat them to a truMedic foot massager and/or neck and back massager to give them a massage experience right from the comfort of their own home. truMedic’s foot massager was recently chosen as one of Oprah’s Favorite Things 2018 making it the perfect gift to give. Visit https://trumedic.com/ for more information. Robinson Home Products Inc. is a Buffalo, NY based, employee owned, housewares and tabletop company. They have been successfully developing, producing and shipping quality products to retailers throughout the US for almost 100 years. They’re excited about our two new brand introductions this year of CraftKitchen™ and Studio Cuisine™. These brands showcase Robinson’s expertise in the multiple categories of Tools, Gadgets, Cutlery and Cookware and brings new and exciting styles to the market. Robinson Home Products has a diverse list of gifting ideas for this Valentine’s Day! When Lifestyle Expert and Influencer Susan ‘Honey’ Good reinvented herself in her sixties and created HoneyGood.com, she quickly endeared herself as an icon for women over 50, many of whom are grandmothers. An editor at Abrams Books took notice of Honey Good’s stature among women and grandmothers as well as the national recognition she has received and sought her out to pen their concept journal, STORIES FOR MY GRANDCHILD (Abrams Noterie; February 2019; U.S. $16.99, Hardcover). The editor described Honey as the personification of the “cool 21st century grandmother” and a vibrant, visible role model. Honey Good’s book is available currently for pre-sale with a February 5, 2019 publication date. Honey’s stylish, beautifully-illustrated keepsake journal covers numerous topics in a Q&A format so grandparents can pass down personal stories and family history in the first person. The book also features Honey Good’s wise personal quotes about the joys of grandmotherhood. Honey speaks from experience with a blended family that includes 25 Grands. Honey Good’s smart, succinct, often humorous, sometimes poignant self-reflections are relatable and on point and have carried over to her beautiful book featuring astute subjects and questions ranging from how she amused herself as a child to what dating was like when she was a teenager, and how she navigated challenges and opportunities throughout adulthood. Each entry offers a grandmother an opportunity to give her grandchild a connection to their heritage and a deeper relationship with their grandmother. The journaling prompts and personal quotes were conceived by Honey Good who is actively redefining this stage of life on her award-winning website HoneyGood.com, with an impressive following of over 200,000. GIFT GIVING THAT GIVES TO THE HOMELESS Every holiday season, we search for ideal gifts for friends and family – useful gifts that carry meaning during a meaningful time of year. Beantown Blankets checks all the boxes for those who want to give quality gifts that make a difference to more than the recipient. “Beantown Blankets was established in 2016 as an avenue to provide quality products to our customers, while providing sustainable and usable items for the homeless population in affected areas,” explained Maxwell Perry, Owner and Founder of Beantown Blankets. “At Beantown Blankets, for every blanket purchased, we donate a duplicate blanket to a local shelter to not only provide warmth, but also shelter from rain and snow.” The number of people without a safe, regular place to sleep in America has grown. On any given night in 2017, nearly 554,000 people across the country were homeless, just under a 1 percent rise above 2016 levels. “THIS YEAR, Beantown has set a goal of providing 15,000 blankets to the homeless community,” said Perry. “Achieving this goal will extend our reach of homeless shelters and also enable us to offer beta work programs to the homeless, which involves packaging blankets for other shelters in need. It’s a continuum of giving.”The blankets are perfect for tailgating, park picnics or on any game field sideline. Standard blanket size: 50″ x 60″ All blankets are delivered rolled and tied with jute-twine. The recipient will also receive an enclosed note that explains Beantown Blanket’s mission. Seeking a wonderful, personalized gift idea for Valentine’s Day that is truly magical? Give a gift of the stars to show the love of your life that you will always remember that special moment! The Night Sky makes an incredible, memorable gift this Valentine’s Day, and will be treasured for years to come. The Night Sky will light up anyone’s life this Valentine’s Day! The Night Sky can be ordered as a gift certificate at the last-minute for the recipient to order their own unique print this Valentine’s Day. With this service, it is simple to create an 18″ x 24″ star map of the night your heart skipped a beat. Your unique and personalized star map is printed on high-quality, Art Matte paper with over 190g weight. Choose from 8 different styles at any place or time in the world to memorialize what is special to you or to the recipient. To learn more about The Night Sky, please visit https://thenightsky.com/. FOCUS! – How to Slay Your Goals discusses how to radically change your life. Could programs like the law of attraction, and using affirmations the wrong way, be holding you back in life? How to found profound love to learning how to make the first 30 minutes of every day the powerful breeding grounds for a positive mental attitude. His work as a counselor and life coach has been verified by psychology today, and marriage.com verifies David’s work as one of the top relationship counselors and experts in the world. Recently. David’s new book “FOCUS!” made it on the list of “The Top 25 Books That Will Make You a Better Person”. Essel’s book joins the ranks of other influential self-help books. For the past 28 years, number one best-selling author, counselor and life Coach David Essel has been helping to educate the world regarding the negative power of self-sabotage, and how to get out of our own way in life in order to achieve greatness. David’s goal is to positively affect 2 million people on a daily basis regardless of their current circumstances, their current challenges, and even their current financial situation. ARE YOU READY TO RADICALLY CHANGE YOUR OWN LIFE? ∙ FOCUS! Is what it takes, to create the life you want right now. ∙ STOP DREAMING! Could programs like the law of attraction, and using affirmations the wrong way, be holding you back in life? ∙ START LIVING! David’s goal achievement program “The One Thing Theory “TM, created in 1996, will help you create huge success in life. ∙ PROFOUND LOVE? You can create it by following David’s “Love scale: 1 to 10”TM. If you don’t have what you truly desire in life, this book will show you how to get it. Now. It’s time to FOCUS. As we celebrate almost 40 years in the personal growth industry, David is excited to offer everyone his daily video’s out to everyone for absolutely free! • Find an accountability partner so that you can hold each other’s feet to the fire to do what’s needed every day. • Shatter any negative attitude or mindset that has been keeping you back from living at your full potential. 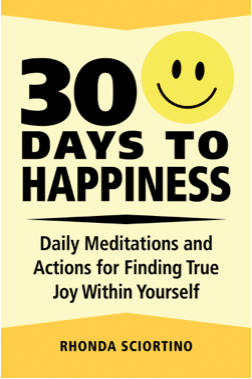 • Learn how to make the first 30 minutes of every day the powerful breeding grounds for a positive mental attitude. • Create daily action steps that will actually bring the results you so desire to you. • And finally, learn how to boost your own self-confidence and self-esteem so that you carry this practice forward for the rest of the year. SodaStream prevents more than 3,700 single-use plastic bottles and cans from entering the waste stream to begin with. SodaStream eliminates the guilt of buying and then discarding single-use plastics. 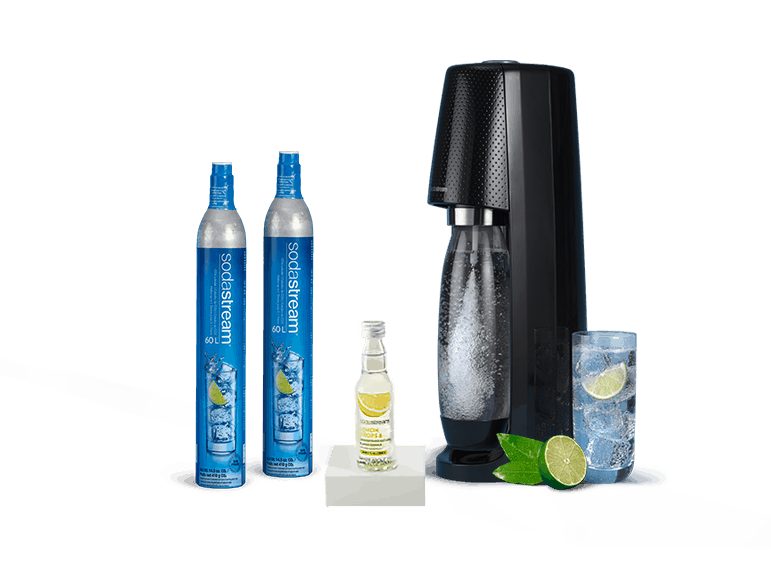 The Fizzi One Touch retails for $129.99 at www.sodastream.com or retailers nationwide. Mass market hearing aids are getting smarter. That’s good news for the millions of consumers who cannot afford the average $2,300-per-ear price tag of conventional products, which aren’t covered by Medicare or most insurance policies. 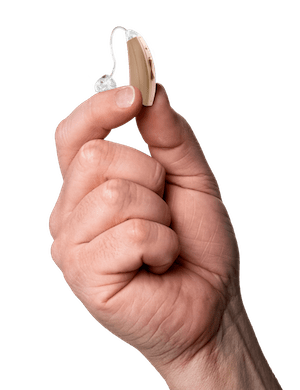 It’s also an early sign of the impact of the 2017 Over the Counter Hearing Aid Act, which allows adults with mild to moderate hearing loss to buy cheaper devices without seeing a hearing professional. · Create a personal hearing profile based on their ability to hear a series of tones. 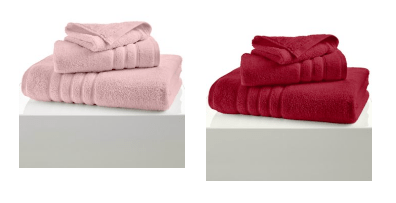 For Valentine’s Day this year, Micro Cotton® recommends that couples bring the hotel getaway experience right to their homes with the luxe, outsized and ultrasoft Hotel Ultimate towels from Micro Cotton®. Woven from 100% long staple cotton, these plush, durable fibers stay sumptuously soft for ages and are perfect to cozy up in together. They even make bathrobes obsolete! The Hotel Ultimate Micro Cotton® collection is available in 21 sweet colors at Macy’s. Micro Cotton’s dusty petal and ruby bath sheet sets are perfect for Valentine’s Day!!! 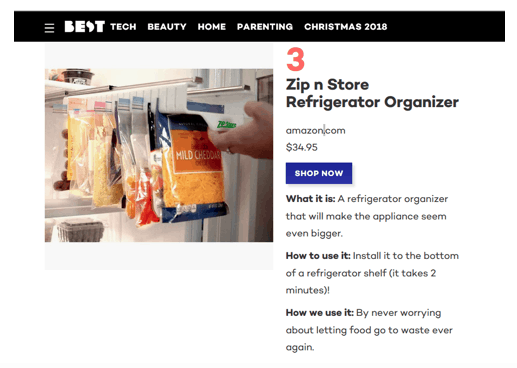 Zip n Store storage system was just named one of the 50+ Most Genius Products on the Internet by Bestproducts.com. Seal-top storage bags have been a staple in kitchens for decades. They are inexpensive and convenient, but in the refrigerator or freezer, they can end up mashed under piles of other groceries – and hidden until the food in them has gone bad. In the pantry, they are bound to be lost among the cans and boxes. With the Zip n Store storage system, up to 29 quart-sized baggies can be attached to the Cold n Store slide out unit or the Cold n Store side door unit. It’s the end of hide and seek with leftovers – all it takes is a quick slide out, and all the food is easy to see and access. Kensey spent years trying to figure out more productive and cost-effective ways to get a job done. “I invent stuff,” he says. “There’s an easier way, a better way, a faster way.” Zip n Store is just one of his inventions that makes life better. Zip n Store works with both plastic storage baggies and manufacturers’ pre-packaged bags. It works in the refrigerator, freezer, and pantry. Helping GRAMMY® Presenters and Performers get their Sheets Together! On Sunday, February 10th, 2019 in Los Angeles, California, some alternative Bandz appeared at Music’s Biggest Night®. As in previous years, each Presenter and Performer at the GRAMMYs® receive a carefully curated selection of gifts. For the 61st Annual GRAMMY Awards®, these gifts included Bedding Bandz® The Original Bed Sheets Organizer from Ravary Enterprises. Imagine going to your closet and finding the exact size sheets you need, in a perfectly organized, labeled bundle. Imagine an easy, color-coded system to identify sheets sets by size, so you never have to unfold and mess with the wrong size sheets again. That’s Bedding Bandz®, a patented home organization device that lets you stack your folded sheets neatly, freeing up valuable storage space. 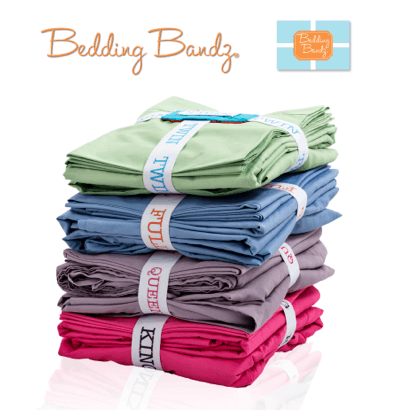 Bedding Bandz comes in two formats reversible TWIN/FULL and reversible QUEEN/KING. Valentine’s Day presents have come a long way in recent times. Where before a dozen red roses and a box of chocolates might have covered your bases in the gifting realm 10 years ago, things have slowly shifted over to more personalized, thoughtful presents for loved ones. But one gift that never goes out of style is lingerie. Not to be underestimated, a beautiful set of lingerie—from a silk robe, to a lacy teddy, and the classic bra-and-briefs (plus stockings, and a garter, and heels…)—is a gift to you both. But only if done correctly. While it’s certainly not as easy as picking out something from a catalogue and hitting ‘add to cart,’ it’s also not as difficult as you might think. Avoiding ostentatious designs and sizing mishaps, is now possible with the help of the services provided by [ENCLOSED] — the first online gift-giving service owned by women designed to help men. [ENCLOSED] provides a highly personal and customized digital experience with the undivided attention of a stylist making finding that perfect Valentines Day lingerie gift stress free. The [ENCLOSED] motto: We do the work, you get the credit. Men go online, sign up, and fill out a form with basic information on the recipient, and the experts at [ENCLOSED] hand-pick a personalized lingerie item for each recipient from the finest luxury designers worldwide. The gift arrives in a signature purple box surrounded by dried rose pedals. No need to plan ahead with [ENCLOSED] as they offer overnight shipping. From size, style, quality to fit and beautiful packaging, [ENCLOSED] does all the work for you!